If you have a new baby or if you have toddlers at home, you definitely need to undergo a couple of home repairs and other changes to ensure your home is safe for your growing babies. One of the many important responsibilities of parents is to make sure their children live in a safe, secure, and healthy environment. You might not believe it, but your home is one of the many threats to your child’s safety, and your babies are not truly safe, even inside the comforts of your own home. According to your Conway handyman, with some modifications and repairs, you can turn your home into that safe haven for your children. 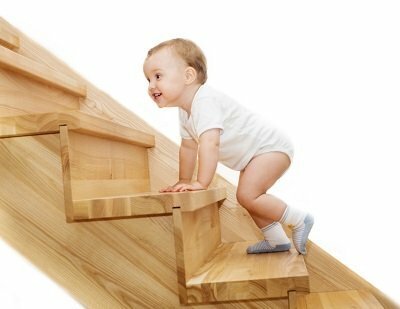 Here are home repairs and other modifications that you can do to childproof your home and keep your kids safe. Make sure they are secured very tightly especially the ones that are within reach of your kids and toddlers. Use brackets and screws to anchor the shelves to your wall and prevent your highly curious kids from exploring its contents and accidentally topple it on top of them. Use toggle bolts for the shelves if you have tots who will take their chances and actually climb on the anchored shelves. If you can’t remove the shelf and put it another room, avoid placing heavy things on top of it. Make bathrooms off limits for playing kids and tots. The bathroom is an accident-prone area for both adults and the kids. So make sure they don’t wander into the bathroom and treat it as an extension of their playroom. Always close the bathroom door. Inform all the members of the household that they should keep the bathroom door closed, along with other rooms in the house where you can’t watch the kids. If you can, invest in toilet lid locks so that the kids will not be tempted to play in the toilet bowl. A slippery floor is the number one cause of falls. Install automatic safety locks on all doors leading to the pool area. Make sure these locks are high not enough that the kids will not be able to reach it. Invest in a pool alarm that will go off when someone takes a dip in the pool without disarming the alarm. Of course, only adults know about the alarm and how to deactivate it. One of the highly recommended home repairs and improvements is to install a second gate from the yard to the pool. This will ensure children will not be able to easily access the pool whenever playing in the yard. Get more tips on home repairs and improvements to effectively childproof your home by calling Handyman Conway and speaking with one of their experts.